This badge earner has a solid understanding of the DB2 environment and the use of SQL to extract data. 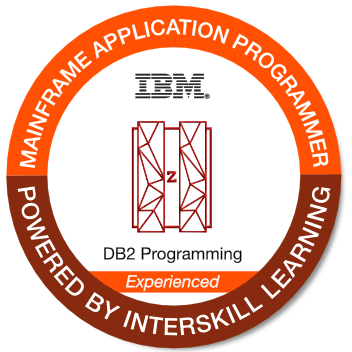 The individual is experienced in creating DB2 databases using tools such as SPUFI, and IBM Data Studio, and can integrate these tasks as code in their application programs. They can also describe the benefits of DB2 stored procedures and create them in a z/OS environment.